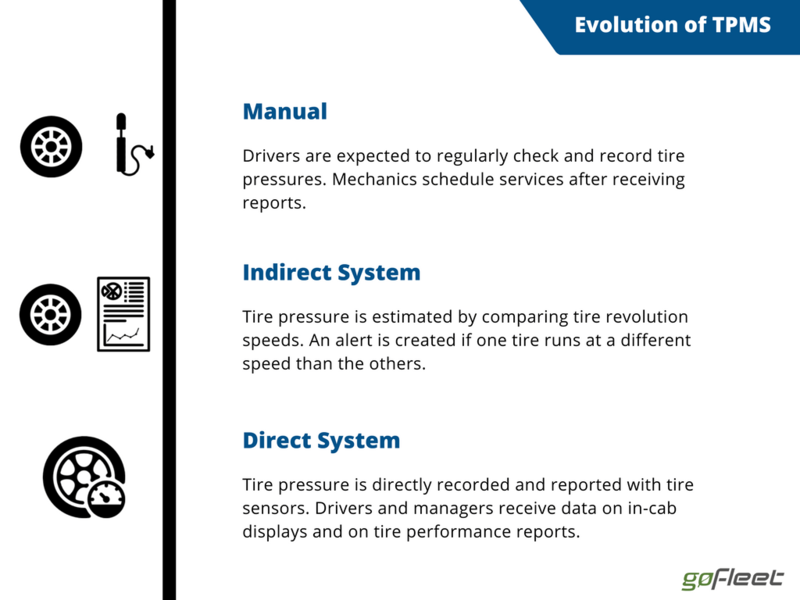 Tire pressure monitoring systems evolved from a manual system to an automated system. Why do fleets care about tire pressure monitoring systems? Tires are important to a fleet’s success because they affect 2 categories – safety and cost. Tires must be in tip-top form to prevent accidents. One reason is that tires are a big factor in determining braking time. TireRack ran an experiment between new tires and worn out tires. What was the difference in braking time? The truck with worn out tires took twice as long to brake. Yikes! Instead of risking an accident, fleets use tire pressure monitoring systems to maintain healthy tires. Tires are the 3rd leading fleet cost. Some people stop accounting beyond repair costs. It’s a great start but tires have a greater financial impact. One of the biggest tire costs is wasted fuel. Flat tires cause fleets to use more fuel. And, of course, fuel cost adds up! Instead of breaking the bank on fuel, tire pressure monitoring systems are installed to ensure tires are properly inflated. How have tire systems evolved? Tire systems used to be a manual process. This meant drivers were supposed to regularly check their tires and report any problems. Unfortunately, manual processes leave room for human error. Not all drivers complete regular checks. Also, not all mechanics receive or finish repair jobs. As a result, manual processes increases safety and fuel cost risks. 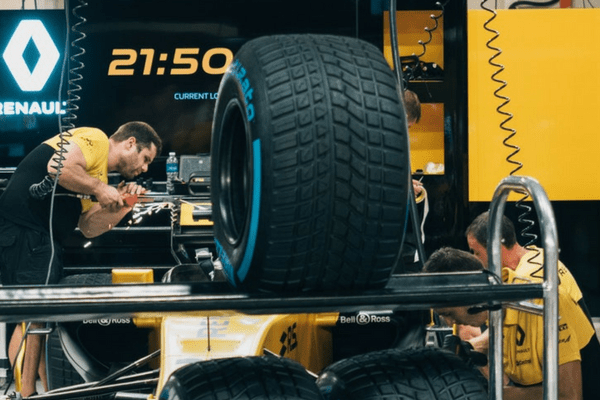 Tire pressure monitoring systems moved towards an electronic process. This is done through either an indirect system or a direct system. Indirect system. Indirect systems estimate tire pressures by measuring the truck’s tire revolution speed. If a tire spins at a different pace than the other tires, then a tire pressure warning is created. This system is less costly but also less accurate than a direct system. Direct system. Direct systems, on the other hand, means installing a tire pressure monitoring device directly on the tire. This device reads and reports tire pressure. As a result, drivers can take a live look at tire readings. PressurePro looks like one of those fancy gadgets on a airplane cabin. Just like a plane’s control panel, PressurePro shows tire pressure and tire temperature. Drivers can also set up alerts if the tire pressure and temperature is outside of the normal range. Besides sharing data with drivers, PressurePro also sends reports to the geniuses in fleet operations. This is done by integrating PressurePro with fleet management solutions. As a result, managers can review tire patterns to make decisions on tire purchases and maintenance policies. Fleets report that PressurePro’s active tire program saves money from fewer accidents, better fuel economy, and longer lasting tires.